Provider: Medical Education Systems Inc. Describe the nature and scope of the problem known as “domestic violence. Discuss what is being done by the healthcare system to deal with this problem. Identify and explain how the legal system has responded to the problem. 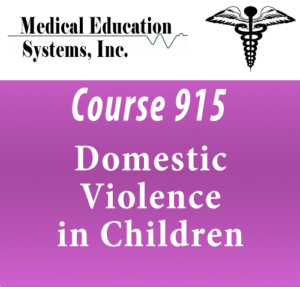 Identify steps healthcare professionals can take to deal with domestic violence victims. Register to Take This Course - Membership is Free!